Imagine your notebook was faster, lighter, more reliable, and longer lasting. 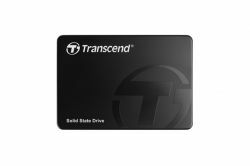 To overcome the limits of portable computing, Transcend's SSD340 SATA III SSD boasts incredibly fast transfer speeds, a compact and lightweight design, shock and vibration resistance. That means you can enjoy a seamless, lag-free computing experience even when using your notebook on an extended journey.